According to the National Safety Council, thousands die needlessly each year because people continue to use their cell phones while driving. With the number of people dying in crashes involving a distracted driver on the rise, safety officials are determined to educate people on the dangers of distracted driving. Today, an average of eight people will die in the U.S. and 1,161 will be injured in crashes that involve a distracted driver. More than 160 billion text messages were sent in the U.S, including Puerto Rico, Guam and 14 more territories, every month during 2018. 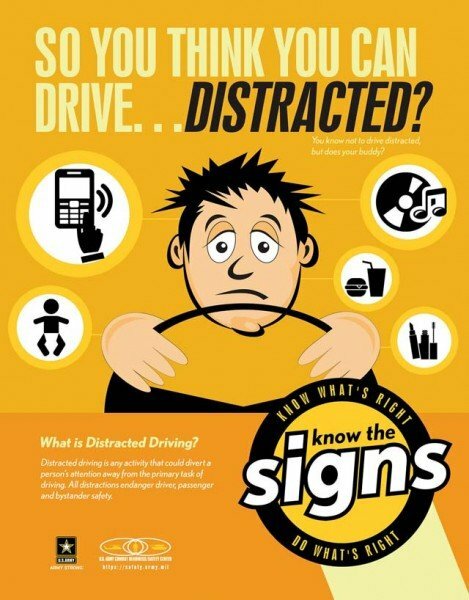 Drivers in their 20s make up 27 percent of the distracted drivers in fatal crashes. Drivers engaging in visual-manual subtasks associated with the use of hand-held phones and other portable devices, such as reaching for a phone, dialing and texting, are three times more likely to be involved in a vehicle crash than non-distracted drivers; 47 percent of all adults who text say they have sent or read messages behind the wheel. 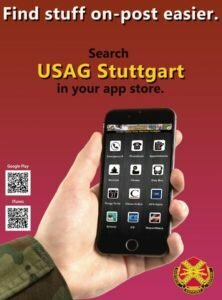 April is Distracted Drivers Awareness Month, and the USAG Stuttgart Provost Marshal’s Office will participate in the annual distracted driver’s awareness campaign in an effort to help educate and safeguard the Stuttgart military community. Throughout April, the Military Police will conduct operations on all installations to address violators of Army Regulation 385-10, para. 4-E, about cellphone use while driving. Help keep our community safe by adhering to the rules and regulations and reporting to the MPs by calling–but not while driving–07031-15-3102, or use the Garrison App button “REPORT TO MP.” Do not let “SMH” be your last words.